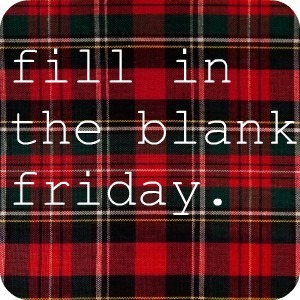 Per my Aunt's request.....Fill in the Blank Friday! 1. My most favorite "little thing" is baby giggles. 2. I give anything to fly back to Disneyland right now . 3. I can't believe the babies will be ONE in 2 months.... .
4. The one thing I'd like to achieve today is my run. 5. The last thing I want to do today is hmm....I got nothin. 6. If I were writing my own blank today, it would say: Who would you meet for coffee today if you could go with anyone? 7. My favorite candle scent is ....home something from Gold Canyon. YUM.